Does anyone else get delusional and overly dramatic when writing blog posts? The most common delusion I experience is that people are actually going to read what I’m writing. Obviously I know this is the point but it’s also terrifying because I don’t want to embarrass myself or waste people’s time. Curiously, this fear is almost as paralyzing as the second most common delusion I experience which is that no one will ever read anything I post here. If that’s the case, then I’m wasting my own time AND I’m suffering from an unhealthy sense of self-importance every time I hit the publish button. Reality is usually somewhere in the middle. Ignoring extreme events (which I’ll get to shortly) my posts usually get a modest amount of attention and have never actually resulted in anything close to a real public shaming. I suspect I’ve probably wasted people’s time but they’ve been too polite to say anything so far. I don’t think that maintaining the blog has been crucial to my career but it hasn’t hurt either. People have occasionally asked me to write and speak based on what they’ve read here and it’s given me a way to quickly and easily go on record when I’ve felt the need. That being said, my life would probably not be remarkably different if I had spent my time going on bike rides instead. So, a few years ago in a moment when I was feeling particularly level-headed about the blog, I added a CC BY creative commons license allowing anyone to reuse what I’ve written here for any purposes without asking my permission. I had previously used CC BY-NC which allowed reuse of my work without my permission but only for non-commercial purposes. My decision to change to the more permissive licence was inspired by Bethany Nowviskie’s excellent post, Why, Oh Why, CC-By? What won me over was the idea that I should be so lucky to write something that someone else found useful and that it was better to remove barriers to access than to add them. When I thought about it objectively, my concerns just seemed a little silly. In some ways, CC-BY is still a little too restrictive for me. This might be needlessly philosophical but I don’t really believe that I can claim ownership over ideas even when I write them down. When I write, I am remixing everything I’ve read and heard. What’s more, all of those things are remixes too. We aren’t standing on the shoulders of giants; they just look like giants because they contain multitudes. I can’t pay everyone who came before me so I can at least give freely to those who will write after me. If I were brave, I’d just put a public domain notification on everything and be done with it but I’m just not ready to totally let go like that. I want to take responsibility for what write even if I can’t, intellectually, take credit. Unfortunately, it is exactly this desire to take responsibility for things with my name on them that has led me to question my CC BY licence lately. A few weeks ago I wrote a blog post that got a bit more attention than usual. That piece was about a disappointing experience my friend Patricia Hswe and I had writing for a magazine. The problem was that the editor we’d been working with added some quotes from a commercial vendor to our piece after we thought we had finished revisions. The quotes made the piece feel like an advertisement for the vendor and we simply were not comfortable with that. This experience made me re-think my CC BY license because I wondered if someone might try to do something similar with something I post here. When I initially chose that license, I really only considered situations like plagiarism or, at worst, someone copying a blog post and adding it as a chapter in a commercially available book. Both would be weird but neither would actually bother me nearly as much as what happened with the magazine. In fact, I would have preferred that piece not be attributed to me at all than to have it appear as it did with my name on it. Of course, no matter what kind of licence I put on my site, sketchy people will do sketchy things. The CC-BY licence gives me something to point to if I catch someone doing something wrong but one thing I’ve learned over the past few weeks is that dealing with sketchy people is work and it takes time. That’s fine though; while I now know that it isn’t totally delusional to think that some unscrupulous person would try to get by with a fast one, I still don’t think it is a huge threat to me. Furthermore, the whole episode with that magazine illustrated that the folks out there who might actually read anything I write – librarians, professors, students – do not take kindly to such shenanigans. This seems to work for me but it might not be right for everyone. I’d be really interested in hearing other perspectives and experiences. Also, if you want to repost something you see here, you don’t need my permission but I’d still like to hear about it. I might even be willing to revise something for you … assuming you aren’t up to any shenanigans. Way back at the beginning of last semester, I was asked to speak to UNC’s American Studies graduate students about digital humanities and, more specifically, the possibility of creating digital dissertations. To be clear, this was not about submitting PDFs of traditional dissertations to the institutional repository. What interested the students was the idea of creating fully digital dissertations that take advantage of a range of technologies to go beyond the limitations of paper. Amanda Visconti’s stunning Infinite Ulysses serves as an inspiration for the students but also as a hint for departments, graduate schools and libraries of what is coming our way in the next few years. Of course, there is very little that can be said about digital dissertations generally from a technical point of view as the whole point seems to be utilizing whatever particular technology fits the goals of your project. What worked for Visconti obviously won’t work for everyone. We decided that what would be most valuable would actually be some sort of intro to DH talk. The only problem was, by that point, I was getting a little tired of giving that talk. Not only was I bored of saying the same thing over and over but I had also stopped buying some of my own lecture and I didn’t think I could muster the enthusiasm to revise it. This was over the summer of 2015 and around the same time I was trying to figure out what to do, all hell broke loose on my Twitter feed. The annual Digital Humanities conference had just started in Sydney and many of those in attendance found the event unwelcoming to traditionally under-represented groups and perspectives. The hashtag #whatifDH2016 emerged to give people an opportunity to suggest improvements for the next year’s conference. I instantly fell in love with this reorientation and used it to reframe my talk for the students in American Studies. With thanks to Trista Reis Porter for inviting me to give the talk and to Ortega and all the people using the #whatifDH2016 hashtag, what follows is a slightly cleaned up version of what I said back in September. Digital Dissertations/Theses and What Digital Humanities Could Be? Good morning everyone and thanks for coming out for something so early. For those of you who don’t know me yet, my name is Stewart Varner and I’m the Digital Scholarship Librarian as well as the subject liaison for American Studies here at UNC. My office is over in Davis Library. My Ph.D. is in American Studies and I’ve been working on helping libraries and digital humanities engage one another since 2010. You might be wondering why the librarian is coming over to talk to you about digital humanities. That is understandable and I’d probably have the same question if I hadn’t been working in libraries for years. First, libraries and archives were major partners on many of the earliest DH projects. We’ve been super busy over the past couple of decades digitizing collections and making them available online. All this digital content has been fundamental to DH projects like the Valley of the Shadow, the Blake Archive and the Emory Women Writers Resource Project (where I got my start). 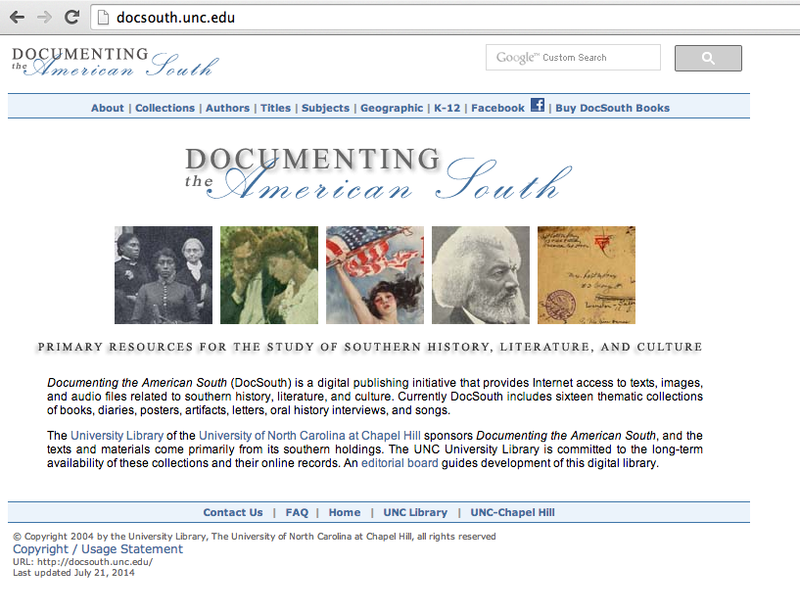 The libraries at UNC have been very active in DH work going back to Documenting the American South which amazingly turns 20 years old this year. Another reason I am here as a representative of the library, is that I like to think of the library as the research co-op of the university. It is a place to centralize some things that lots of people can use but not everyone needs to buy. Maybe that’s a subscription to a journal, maybe that’s a 3D printer maybe that is a special piece of software for digital publishing. The library also wants to talk to you about your digital work because we might eventually be where your digital work goes for preservation. That is seriously hard work but it gets slightly easier if you think about it before you start working rather than after-the-fact. 1. The library has decades of experience with DH. 2. The library has some of the tools and resources you need. 3. The library has a vested interest in seeing you do good work. Like most of my good ideas, I can’t take any credit for it. The idea for the talk comes from Dr. Élika Ortega, a Postdoctoral Researcher at the Institute for Digital Research in the Humanities at the University of Kansas. 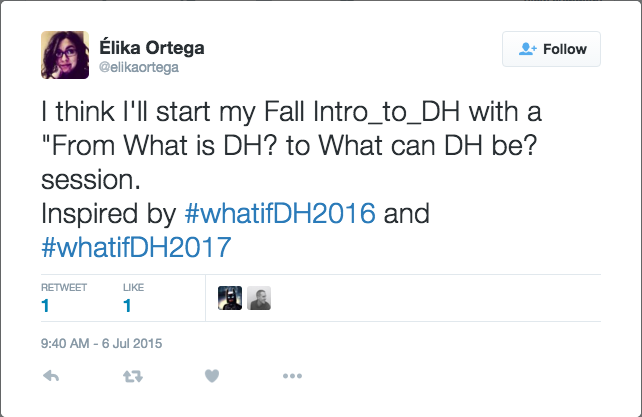 Over the summer, Élika tweeted that, rather than devote a day of her Introduction to Digital Humanities class to the question “What is DH?” she wanted to ask her students to think about what DH could be. This sounded like a much more generative conversation to me so I’ve decided to adopt it here. I’m going to talk a little about what I see going on but I’m really curious to hear what you all have to say. I’ll leave plenty of time to chat after words but please feel free to speak up if you have a question or comment. Before I get started in earnest, It has occurred to me that I’m being slightly disingenuous; I‘ve said I would talk about what the digital humanities might become but I’m about to give you a bunch of examples of what DH already is. I would encourage you not to think of any of the examples that follow as end points or as destinations where scholarship needs to go (or avoid going). Rather, I ask that you think of these examples as suggestions for possible directions which are not mutually exclusive. These individual projects may be complete but the ideas behind them may keep going, may splinter and may merge in any number of ways. Something that people used to say a during peak DH-hype was that this stuff was not special and one day we would all be embarrassed for thinking it was something besides just the humanities. I think there might have been some not-very-well disguised defensiveness in these pronouncements. They seemed to assume a temporary faddishness and also take comfort in the promise that, while techniques may change, the basic questions will not. Evidence that the techniques, habits and even the values of the for-profit sector are not hard to find in higher education. This is especially troubling for scholars in the humanities. Not only does their work generally fall outside of commercial interests and resist corporate workflow, it is also often one of the few sources of critique of the kind of market-driven decision-making that characterizes most other aspects of society. While I do not believe there is anything fundamentally neoliberal about DH, it has not always explicitly engaged itself in the ideologically critical struggles that have defined humanities for some time. Some have suggested that DH actually marks a turn away from ideology and toward a seemingly neutral “method.” Of course, failing to engage in struggle is not the same thing as being neutral but, for some audiences, this particular type of non-neutrality may be more palatable. I do not want to start pointing fingers at projects that epitomize the neoliberal digital humanities but I can give you an example of something I worked on once that made me sensitive to this potential. In another life at another job, I was loosely connected to a projected based on a digital map of ancient Rome. The idea was to make the map available online and to let students annotate it with short essays about the buildings that would be accessible through links in the map. I was asked to present the project to groups of potential and actual donors as an example of the kinds of humanities work we were doing. During these showcases, I never saw presentations about intersectional feminism, critical race theory or post-colonial scholarship; all of which were the kinds of things that were actually generating excitement and energy within the humanistic disciplines. I suspect the digital mapping project might have been deemed more suitable for a donor event for any number of reasons and it’s general lack of an explicit ideological stance was probably one of them. On the completely other side of the spectrum, I suggest that DH could be a powerful way to amplify all kinds of critical and/or underrepresented voices. We’ve, of course, been hearing about the radically democratic potential of the internet for as long as there has been an internet and I think it is fair to say that the web is not exactly an anti-authoritarian utopia. However, it has opened up some useful pathways and some people have taken those opportunities to create room for some underrepresented voices. One of my favorite examples of this is the Crunk Feminist Collective. The group and their website “create a space of support and camaraderie for hip hop generation feminists of color, queer and straight, in the academy and without.” By publishing online, they are able respond quickly and at relatively low financial cost to current events from a critical perspective in an accessible voice. Traditional publishing in the humanities has none of these advantages. This kind of work is absolutely crucial as it makes the humanities more inclusive and establishes an important link between the academy and the wider public. Furthermore, the technology of the web makes it possible to enact many of the values of critical/post-colonial/feminist work. Whereas traditional publishing is generally exclusive and hierarchical, digital publishing can more easily be transparent, collective and networked. Of course, another advantage of online publishing like the Crunk Feminists Collective is that it allows the writers to engage more directly than traditional journals with a broader public over current events. In fact, there are many examples of public humanities projects that have taken advantage of the internet. Students in UNC’s American Studies program should be aware of the immensely valuable projects like Bobby Allen’s Going to the Show and Main Street Carolina as well as Anne Whisnant’s Driving Through Time. I also want to point to Kathleen Fitzpatrick incredibly brave experiment with public peer review for her book Planned Obsolescence. What is particularly exciting about a project like this it does not obscure how collaborative and community driven most academic work actually is but actually embraces and highlights these qualities. (Thanks to Miriam Posner’s excellent post titled What’s Next: The Radical, Unrealized Potential of Digital Humanities which inspired this section) Some of the most radical things I’ve experienced have been written words in seemingly harmless books. However, there is a long history pushing beyond the boundaries and the limitations of the traditional text in such a way as to make the very form of the work part of the critique. This history includes radical feminist film, slam poetry and avant-garde art. This is a history of merging art and theory and taking advantage of whatever tools are available. Therefore it should not be surprising to see experimental and even playful projects scattered throughout digital humanities. Technology offers so many opportunities to create non-linear and polyvocal narratives and all but requires interdisciplinary partnership that bring different kinds of expertise into dialog. One example of this kind of work comes from Mark Sample, Associate Professor of Digital Studies at Davidson College, and the pair of sharks he turned into Virginia Wolf characters and twitter-poets. Sample describes this complex project in a talk he gave titled, Your Mistake was a Vital Connection: Oblique Strategies for the Digital Humanities. The basic idea is that there are a couple of sharks (real sharks, in the Atlantic Ocean) who have geolocation tags and whenever the surface for more than 90 seconds, their location is noted by a satellite. The non-profit research group OCEARCH makes that location data available presumably for scientists who study the movements of sharks. 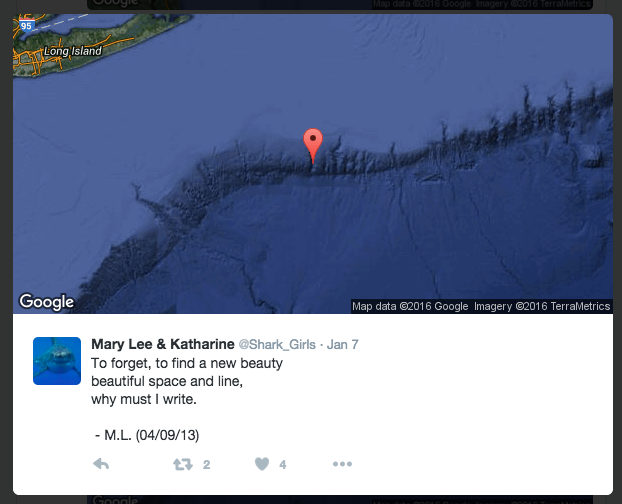 However, new location information about the sharks also triggers a Twitter bot created by Professor Sample which randomly generates a tweet from the sharks based on passages from Virginia Wolf’s novel Night and Day. The @Shark_Girls project is certainly playful but I would not dismiss it as a joke. First, as Sample points out, it is an example of deformance, a method of literary analysis that “breaks” a text in order to more clearly see what makes it work. I think the project also offers a deceptively insightful way to think about a range of issues from online surveillance to our relationship to the rest of the natural world. I hope that no one thinks that I see my job as digital humanities evangelist. All I really want to do is make sure people are familiar with the range of work that is now possible and also advocate that good work that is done digitally should be taken as seriously as more traditional work. This is because I think that being able to use every tool in the toolbox is empowering. I want scholars to be able to make decisions about how they share their work and tell their stories based on what will be most effective and not just what they know how to use. However, if you’ve seen all these examples of digital projects and are still unconvinced that any of this is worth doing, I have to respect that. That being said, I have one more reason why you skeptics in particular really need to learn about DH techniques and tools. It’s not for your own work but so that you can thoroughly critique the work other scholars in your field are doing. Each year, the number of digital projects discussed at academic conferences is going up and we need people in the audience who can point out mistakes. Who better to do that than the naysayers and the skeptics? Along the same lines, we also need faculty members who can effectively evaluate the digital work their junior colleagues are doing when they go up for tenure and promotion. It won’t be enough to just say you don’t understand it so, if you don’t want to empower yourself to be digital humanist, then empower yourself to be critic of digital humanities. Alan Liu, Where is the Cultural Criticism in the Digital Humanities? Late last semester, I did a workshop called “Caring for Your Online Presence” for a group of students in the School of Information and Library Science here in Chapel Hill. I suggested that they all sign up for Twitter because, to quote myself, “Librarians go hard on Twitter.” After yesterday, that laugh line has a whole new meaning for me. After all the excitement yesterday, I wanted to share a few developments. The piece Patricia and I posted yesterday has brought over 20,000 visitors to my site as of this morning. Yesterday morning I had exactly one subscriber to my blog so the other 19,999 was y’all getting the word out. Thanks! As a result of the massive response to the post, there are statements out from ALA, American LIbraries and Gale/Cengage. I’m happy to see that a dialog has opened up and I hope that it will be productive and positive. I’m so happy that this episode has sparked a broader conversation about the relationships between libraries, scholars and vendors. Each of us have important roles to play in the research process. I hope we can also agree that there are some kinds of engagement are inappropriate and everyone suffers when that happens. With Midwinter, MLA and AHA getting started this week, I think there will be lots of opportunities to have important conversations with each other. Finally, and most importantly, I want to say that the reason Patricia and I felt like we could say something is because we knew that our local and virtual communities would back us up. I hope that others saw the massive, overwhelming outpouring of support and feel encouraged to speak up if something – anything – doesn’t seem right. The issues that Patricia and I wanted to raise were specific to our experiences but I for one drew strength from years of watching librarians ask critical and difficult questions about librarianship. Calls to engage a broad range of social justice issues in libraries have been deeply inspiring and I hope that yesterday demonstrated how much work we can do together. I was thrilled to see so many librarians in positions of power show support. This sends an important message to the profession. Even more than that, I was moved by how many people in less secure positions also spoke out. So a special thanks to the students and early career folks. I’m really looking forward to working with all of you for a long time. Author StewartPosted on January 6, 2016 2 Comments on Thank You! If you are a member of ALA and receive American Libraries, you may have seen an article we wrote in the most recent issue (Jan/Feb 2016) titled “Special Report: Digital Humanities in Libraries.” Unfortunately, because the article was edited after we thought we had turned in the final version, we aren’t nearly as happy to share it with you as we had hoped to be. The edits in question were not harmless. They were quotes added to the body of the article from a representative from Gale/Cengage about steps they are taking to develop commercial products which they believe will be useful for digital humanists. When American Libraries approached us about the article, they said “We are also conducting a survey with Gale/Cengage, so that data would be incorporated” in our article. This was reiterated in the official scope document for the article which stated, “[w]riters should also include the results of the Gale and American Libraries survey of faculty and librarians.” The editor at American Libraries gave us access to data from that survey and we did, in fact, cite some of that data in our article. There is something else that happened that is relevant here. Throughout the writing process, the editor at American Libraries kept mentioning that they were going to give us a contact at Gale/Cengage in case we had questions. On October 27th (nearly a month after we accepted the assignment), the editor gave us contact information for a “Senior Manager of Public and Media Relations” at Gale. We didn’t really see how someone in that role would have much to add to our story and, because we were almost finished anyway, we decided not to bother contacting them. We turned in the first draft on November 9 (only three days late!). For the next week, went back and forth with some minor edits and signed off on what we thought was the final version on November 16. Edit the online version of the article to remove the quotes from Gale Cengage. Run a correction/retraction in the March/April issue. Waive their 90 day exclusive licence so that we could place our version of the article in an Open Access repository and make it available immediately. We also mentioned that we would be writing an account of what happened for Stewart’s blog to try to clear up any confusion. We said that we would really like to end that post with a note stating that American Libraries apologizes for the misunderstanding and is working to make things right. * This is the first time we had seen our article characterized as a part of a “digital humanities project” in partnership with Gale/Cengage. ** We cannot find where “a response” from Gale is a requirement. They did want us to cite the survey (which we did) but there is nothing in the scope document (link above) about getting a response. *** There was a list of suggested sources in the scope document. We did not cite any of them though we did speak to Sarah Potvin, one of the editors at dh+lib. American Libraries totally ignored our request for a correction in the next issue. They offered to take the quotes out of the online version and add them as “pull quotes” in the sidebar but noted that “this treatment will make them more prominent on the page, even if they are no longer part of the article.” Finally, they offered to reduce their exclusive licence from 90 days to 30 days. We find every part of this story upsetting. If the editors did not think we had done what they asked for, they should have sent it back for revisions or simply not published it. As librarians, we need a publication like American Libraries to help us organize our concerns and share our experiences. This whole experience has made us question who they are really looking out for. We feel used; like our article was turned into a vehicle for a commercial message and that we were deceived into signing off on it. We are also personally and professionally embarrassed that thousands of readers will see the article but never find this blog post. What will they think of our ethics? Whose side will they think we are on? We are also upset because we actually did like the original article. We thought we did a pretty good job of covering a complicated topic and we were happy to have pulled together some solid advice from some great librarians. 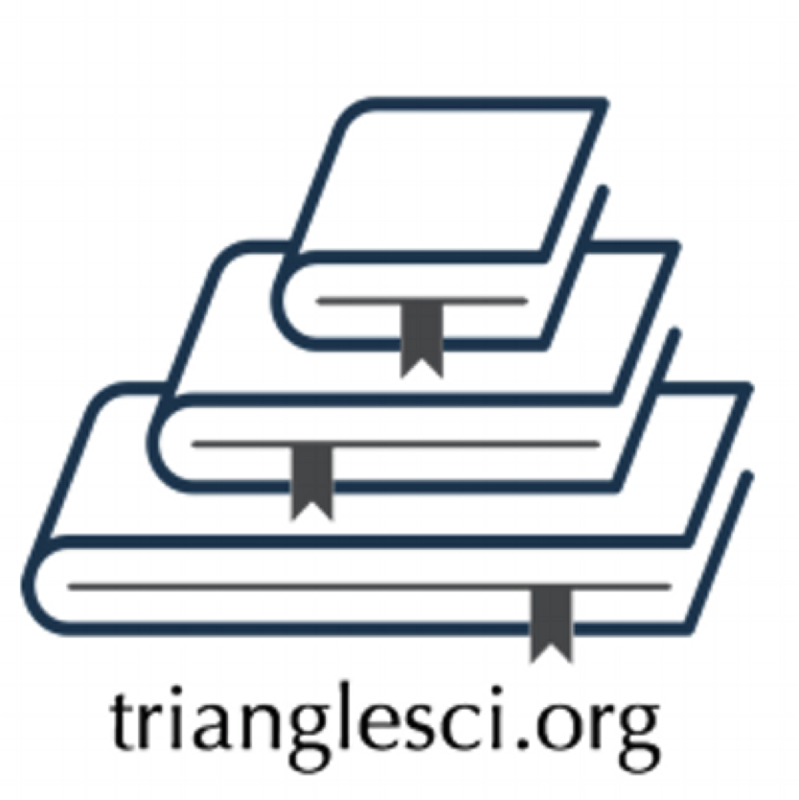 We were looking forward to sharing it with folks but now we’ll just wait another 30 days and then start circulating the link to our original version which will be placed in the Carolina Digital repository at UNC. We hope you’ll read and share that one. But do us all a favor and just ignore the one in American Libraries. On October 23, 2014, I was honored to be part of a great panel discussion on the subject of open data as part of the University of North Carolina’s Open Access Week celebration. I want to thank Anne Gilliland, Scholarly Communications Officer at UNC Libraries for organizing and David Hansen, Clinical Assistant Professor & Reference Librarian at UNC Law for moderating. I’m the digital scholarship librarian with a particular focus on digital humanities. I help UNC faculty and students incorporate technology into their research and teaching by connecting them to library resources. 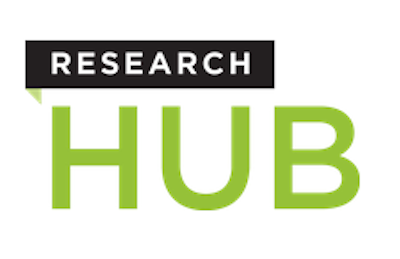 The space we are in right now, the Research Hub, represents an emerging path for research libraries. It is a recognition that libraries are creative places where work is produced, not just consumed. In that sense, it fits in with this narrative that the research library is transitioning from a collection-based mission to a production-based mission. However, it is not as if production and collection are unconnected. Our researchers use the collection to produce their work and it has always been so. Scholars are always standing on the shoulders of giants and the research lifecycle is a feedback loop where reincarnation is very real. This is as true in the humanities as it is in the sciences. And our behavior as a library reflects that. We continue to build our collection and it is without a doubt impressive. Increasingly though, that collection is digital. We buy – or sometimes rent – ebooks, we purchase thematic digital collections and we compliment all of this by digitizing our own special collections to make them easier to use. These collections do a reasonably good job of recreating the analog reading experience and add value in the form of full-text searching and not having to schlep hundreds of books around. However, we are hearing from scholars who want to use emerging technology to do things like text analysis and data mining on our collection. This could involve techniques like topic modeling, sentiment analysis or named-entity recognition across millions of pages of text. 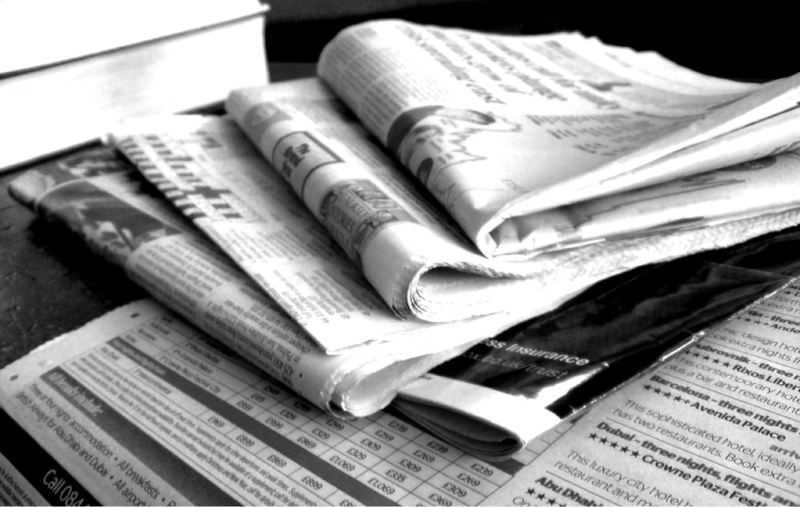 Scholars are looking for patterns across decades of newspapers, entire national libraries and hours of oral history transcripts. Unfortunately, many of our digital collections are simply not designed to be studied this way. So I spend time thinking about text-as-data. When vendors come to visit, it has been my job to ask about how our users might use their collection. The answers are always unsatisfactory and I know the issues are have more to do with how to monetize the data than with simply making it available. I know this is isn’t technologically difficult because, over the summer, our over worked and understaffed tech team managed to open up 4 of the libraries most popular collections from Documenting the American South to make it astonishingly easy to analyze the collections with common tools. As a librarian, my job is to help our users find the information they need and, I need add, in the most useful format. I am very excited about the open data movement and the open access movement to which it connected, at least ideologically, and I’m looking forward to seeing how this discussion unfolds at UNC today and in the months to come. I want to start by thanking everyone for coming and thanks to Chad for organizing. While I’m thanking folks, I should note that I am showing off other people’s work. Thanks to Nick Graham, Tim Shearer, Emily Brassell and Steve Erhart for making this project possible. These are high quality collections that do an excellent job of letting researchers take a look at primary documents without having to come to Chapel Hill and without causing further wear on the items. In short, they do exactly what such online projects were designed to do: take advantage of technology to increase access to unique collections. However, we are starting to see researchers who want to take advantage of even newer technology. You may have heard people talk about Big Data, Text Analysis, Distant Reading: all of these terms point toward a variety of practice that use digital tools to look for patterns in large quantities of text. This has been very common in medicine, sociology, political science and marketing but humanities scholars are showing interest as well. As anyone who has ever tried to do any data analysis knows, the secret to good results is to start with good data. Because we have not generally thought of humanities collections as data, finding something interesting to analyze is kind of a problem. Libraries have an opportunity to do something about this. In addition to trying to work with vendors to help them understand the kinds of work our faculty want to do, we can make it easier to this work on the collections we already control. In early fall 2014, we will be releasing the Doc South Data project. This will provide easy access to the collections in DocSouth in formats that are optimized for text analysis tools. a “read me” file that provides useful information about the collection. The data are very flexible and will be able to be analyzed with several popular tools. That being said, I had a tool called Voyant (http://voyant-tools.org/) in mind when we designed the project. Voyant was created by two literary scholars and digital humanists in Canada, Stefan Sinclair and Geoffrey Rockwell. It is a really great tool for doing fast, simple visualizations of texts (Documentation on how to use Voyant is here: http://docs.voyant-tools.org/start/). Below is a simple word cloud based on the text of The Life and Times of Frederick Douglass. 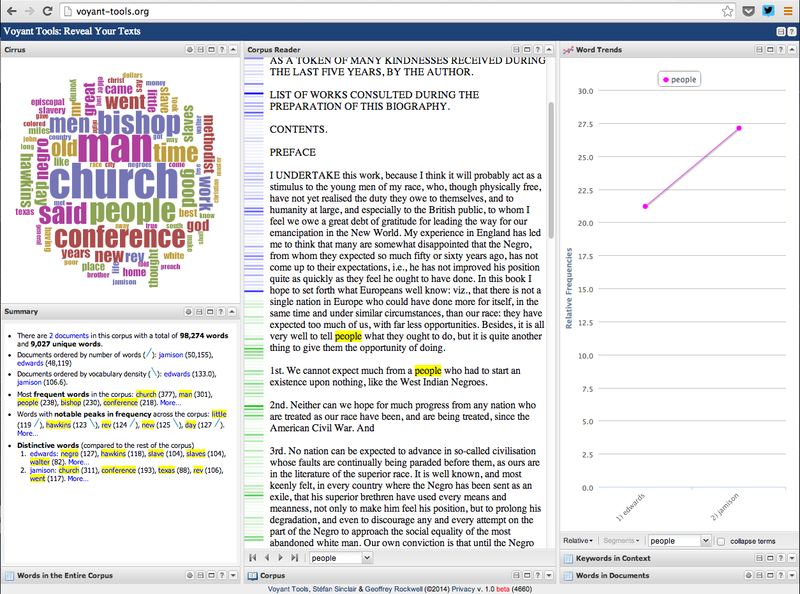 Word clouds aren’t terribly exciting anymore but we can also create comparative visualizations in Voyant. The screenshot below shows you a word cloud based on the text from two narratives combined. By clicking on any of the words, you will see that word in context and also a chart that compares the frequency of that word’s use in bothtexts. This was a relatively easy project but we hope it helps people get more out of our collections.